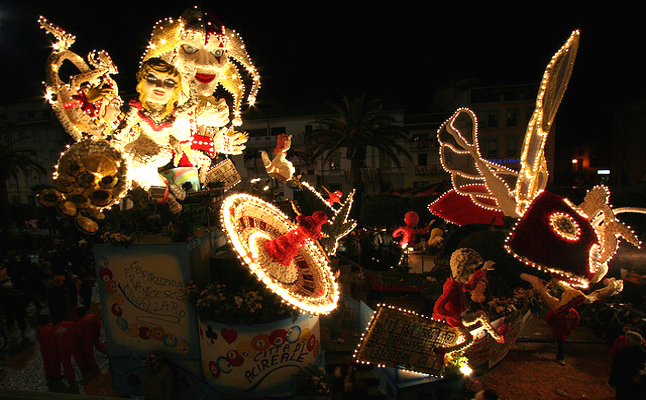 On the coast of the Tyrrhenian Sea in northern Tuscany lies Viareggio, home to one of the most renowned pre-Lent carnivals in both Italy and Europe: Carnevale di Viareggio. Since 1873, the city has taken to indulging in a cascade of shimmering colours and lively program of events, all of which take place every year in February, an ideal time for eager visitors to see the city and enjoy the energetic celebrations taking place. In 1925 the raw material of papier- mâché was suggested by Antonio D’Arliano, where he created puppets depicting caricatures of popular people, such as politicians, athletes and celebrities parade down Viareggio’s seaside roads. 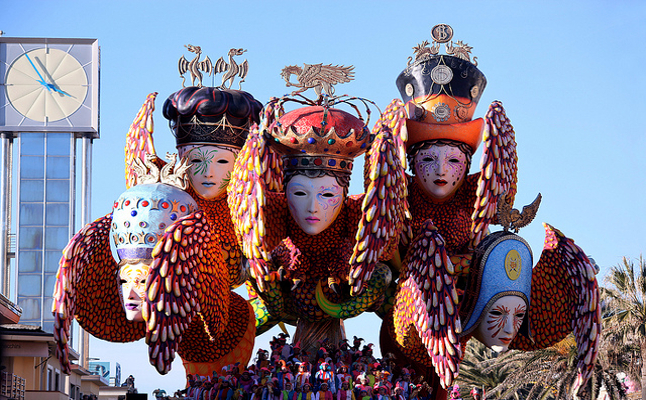 Carnevale di Viareggio is considered amongst the most renowned carnival celebrations in both Italy and Europe. An elongated festival, it stretches across four sequent Sundays, each one resolute around an extraordinary parade of floats. The largest of the floats was up to 20 metres high, took a total of five months to build and 200 people just to transport. The floats feature papier-mâché jesters, opera divas, magical creatures, royal figures and more. Many even have giant satirical models of political and other popular figures within the mainstream media. Other carnival events include fireworks, traditional masked balls, and comedy performances. While shows are being observed, many might instead enjoy the special carnival menus in the town’s restaurants which were transformed to honour the celebrations. During this month, the city holds festivals with theatre performances, musical comedies, firework displays and traditional masked carnival balls. La Cittadella del Carnevale is a special complex that was built exclusively to the birth and conservation of the Carnival of Viareggio, offering it as a site for events, museums, restaurants, and parades to encourage tourism and support for the carnival. The entire area has a specific architectural make-up, one that features several museums, historical archives, a restaurant and a big stage to host shows. In addition to the celebrations, there is a huge programme of sporting events that take place such as the Viareggio World Cup Football Tournament, Coppa Carnevale. 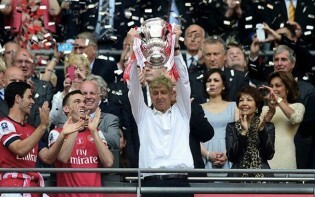 Founded in 1949, it is formally acknowledged by organisations such as: FIFA FIGC, CONI, and UEFA. It is one of the most important youth tournaments in the world, held every year in Tuscany. The “Carnival Cup” (Coppa Carnevale) tournament runs for a fortnight and finally ends on the last Monday of the carnival. The Museum of Carnival is a museum where the history of the Carnival of Viareggio is displayed by original documents, sketches, posters and figures. Visitors are even allowed to design their own art using clay and paper to experience the techniques used to create the many floats featured in the parades. In the entrance of the museum is Burlamacco, the very symbol of the carnival of Viareggio invented by Uberto Bonetti in 1930. Visitors may also observe the old carnival posters and photography gallery that date back to the 1930s. Some of the most famous floats that were starred in the parade had scale models made, which may be seen in the museum. 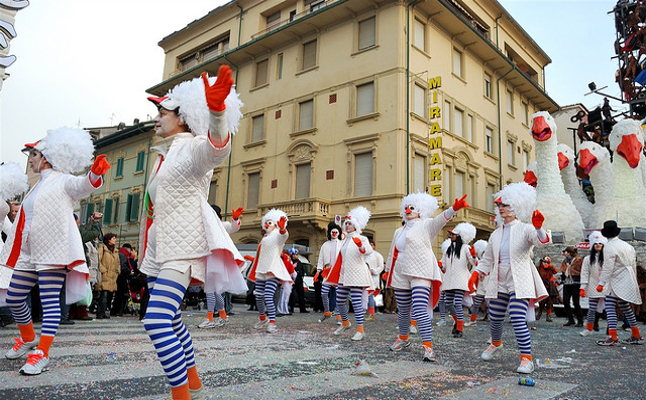 Known throughout the whole of Europe, the atmosphere that Carnevale di Viareggio brings may be incomparable to those looking to celebrate for the sake of celebrating. It is quite easy finding an activity or event to take part in, as there are programs of various happenings taking place, some of which possess diverse themes and meanings. Viareggio may be a beach town to some, yet it is also a place of culture and history. More than a million spectators come to witness the city transform itself until the colourful carriages and charming costumes become the focal point of both locals and guests. 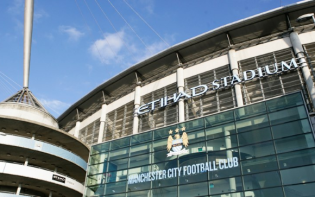 What is the significance of a city possessing its own mascot and what does this symbolise?